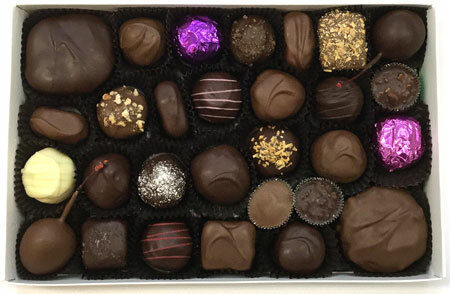 English toffee, truffles, Nutty Laurels, creams, chocolate covered cherries, coconut, nut clusters, caramels, pecan caramel nougats, and mints. 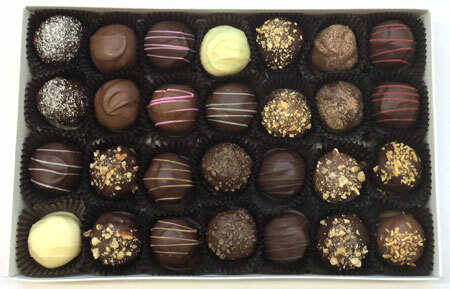 Enjoy the unique flavor combinations in Laurel V's "craft" beer truffles. 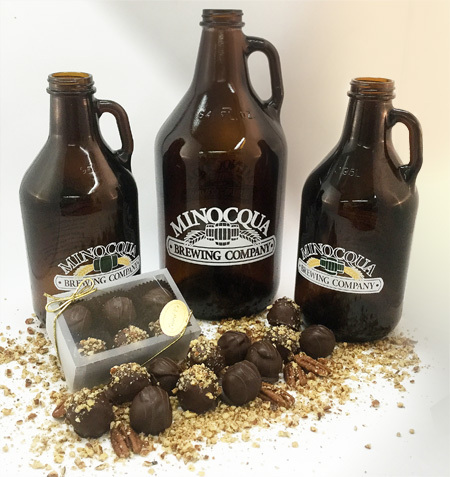 These truffles are made with locally brewed craft beer from the Minocqua Brewing Company. The Bear Naked Brown Ale truffle is dusted with a crunch of salted pecans and offers a deep chocolate blended with a hint of nutty brown ale flavor and definable malt characteristics, while the Pudgy Possum Porter truffle features a fusion of rich, dark chocolate with a hint of rye and a malty porter flavor. 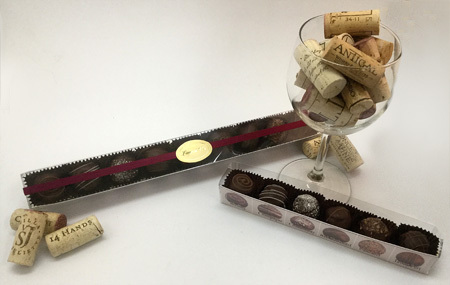 Each Vintner's Collection Flight is specially selected and handcrafted with the finest dark chocolate and premium vintages to guide you through a tasting experience that begins subtle and smooth and finishes bold and satisfying. Choose from Six or Nine Truffle Flight. 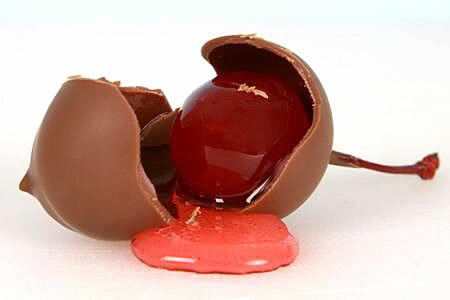 Plump, long-stemmed cherries covered in creamy fondant and hand-dipped in thick, rich Milk or Dark chocolate. 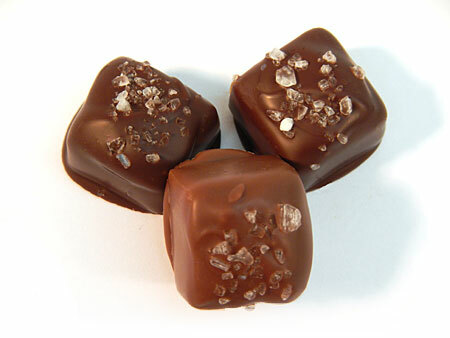 Rich buttery caramel sprinkled with pure sea salt. Available in both milk & dark chocolate. 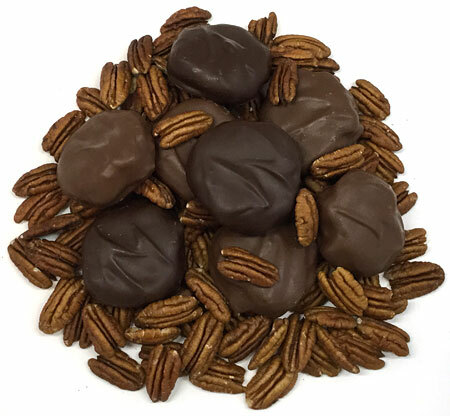 Toasted pecans surrounded by loads of buttery caramel and dipped in thick, rich Milk or Dark chocolate. (If choice of nuts is not indicated, order will be filled with pecan Nutty Laurels). 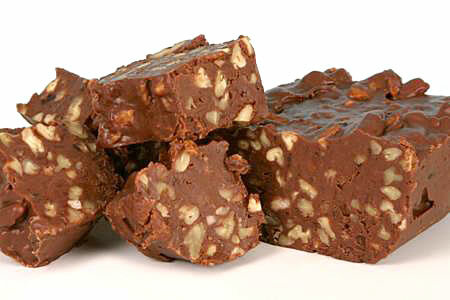 Creamy fudge, loaded with pecans or walnuts. 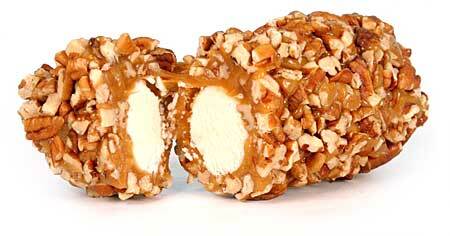 Chewy nougat draped in rich, buttery caramel and rolled in toasted pecans. 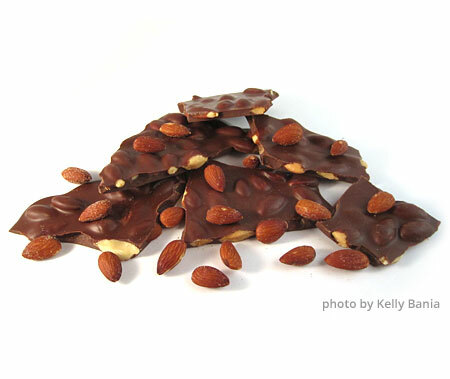 Rich, buttery toffee, dipped in Milk or Dark chocolate and dusted with toasted almonds. 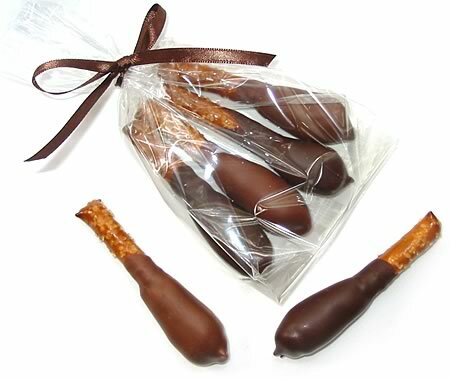 (If choice of chocolate is not indicated, order will be filled with milk chocolate dipped toffee). Toffee with an attitude! 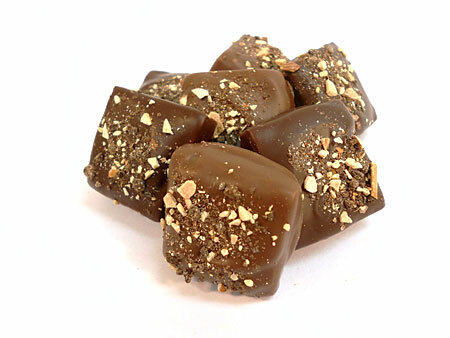 Espresso is combined with this toffee and sprinkled with toasted almonds and ground chocolate espresso beans. Available in both milk & dark chocolate. 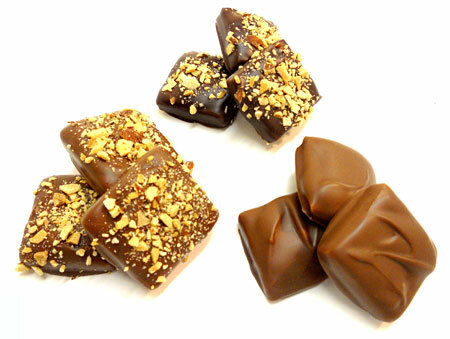 Dipped in caramel, your choice of milk or dark chocolate. A wonderful combination of "a little salty and a little sweet." Type your message in the text area below. Limit of 200 characters, including spaces. © Laurel V's Fine Chocolates, LLC. All rights reserved.